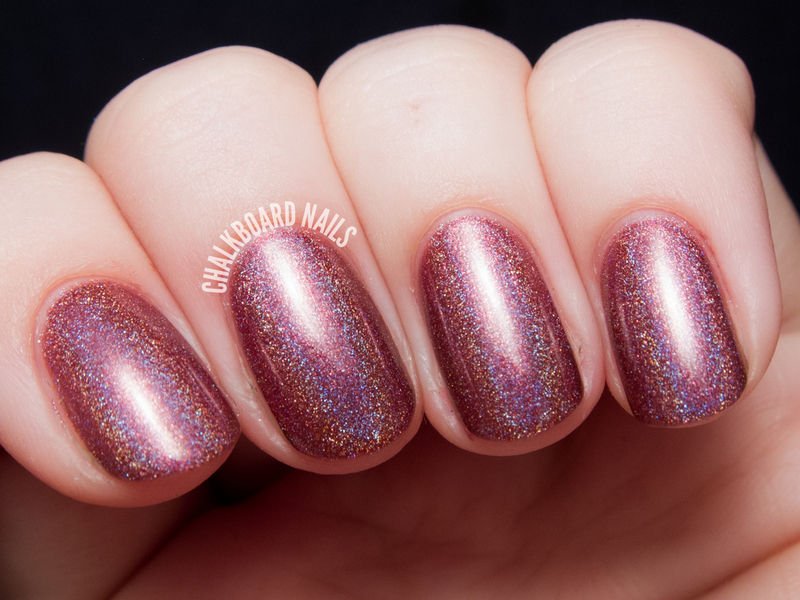 Auld Langs Wyne is a gorgeous rich burgundy wine shade with a holographic finish. 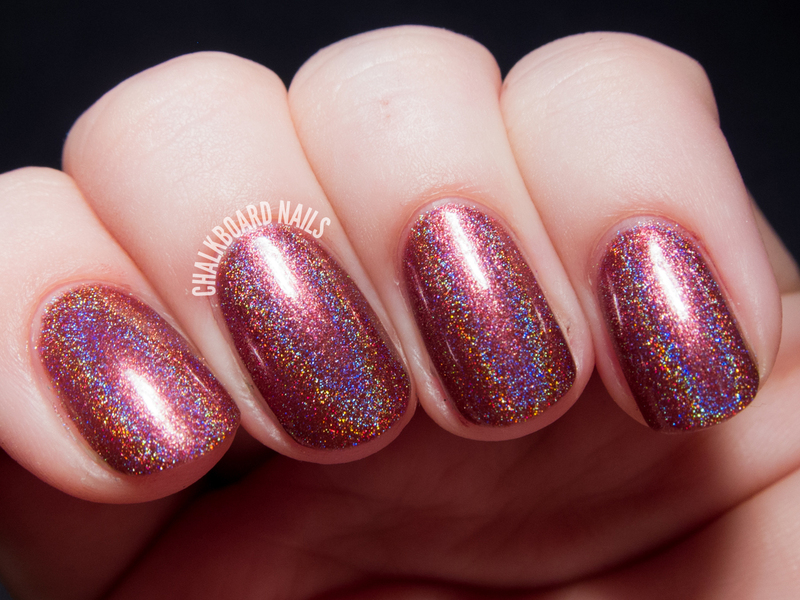 It applied smoothly and the holo finish is dazzling. Three coats. 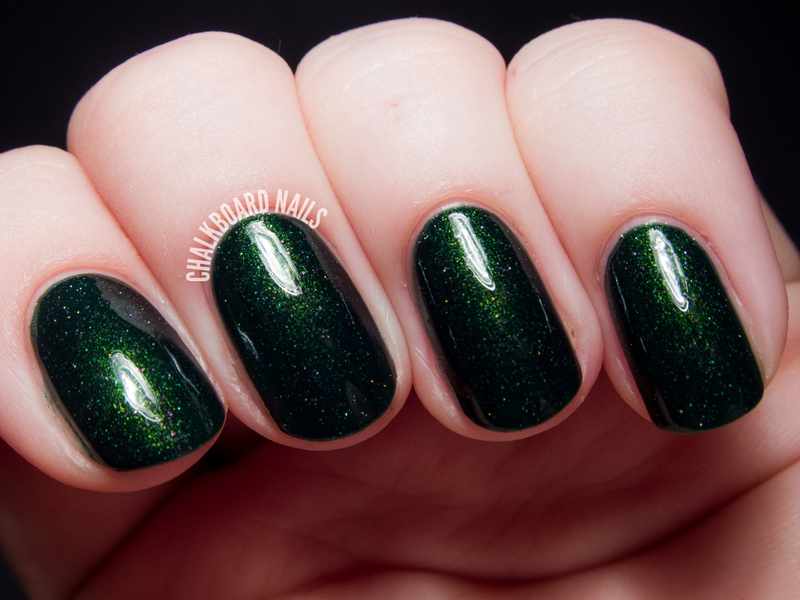 Lay Down With Number 13 is a blackened emerald shimmer with tiny flecks of magenta. Though I'm not one to swoon over dark shades, I have to admit that there is something very intriguing about this baby! Three coats. 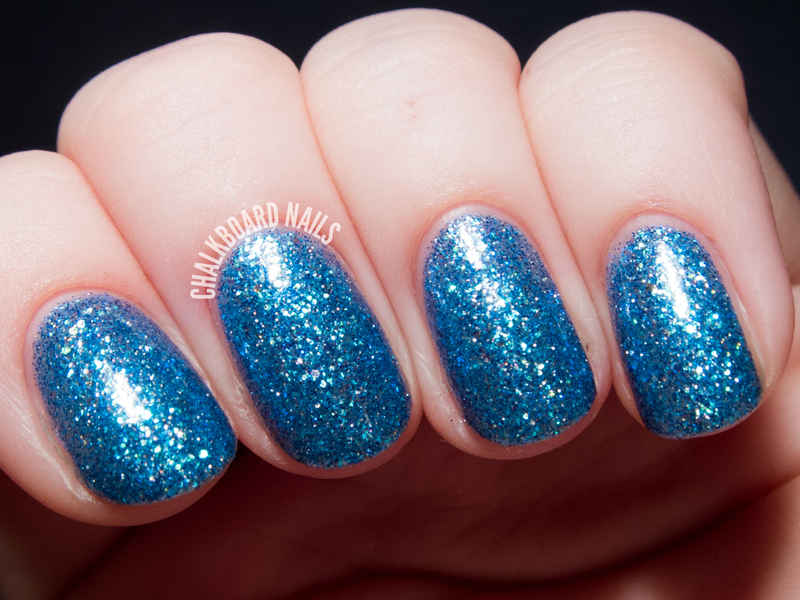 Off the Scale is a blue glitter topper with an aqua gleam. 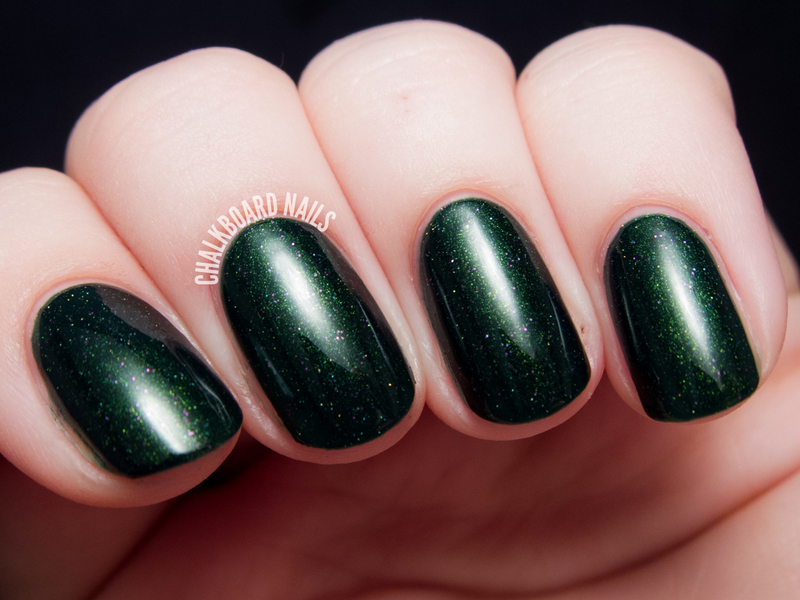 I stacked three coats of this shade alone for a full coverage look. It's really eye catching! Three coats. Which one is your favorite? I think if I had to pick, I'd go with Off the Scale, but I think all of them are great for different reasons! Girly Bits polishes are sold on girlybitscosmetics.com and via distributors. Keep up with the brand on Facebook, Twitter, and Instagram for more info. They're all stunning! 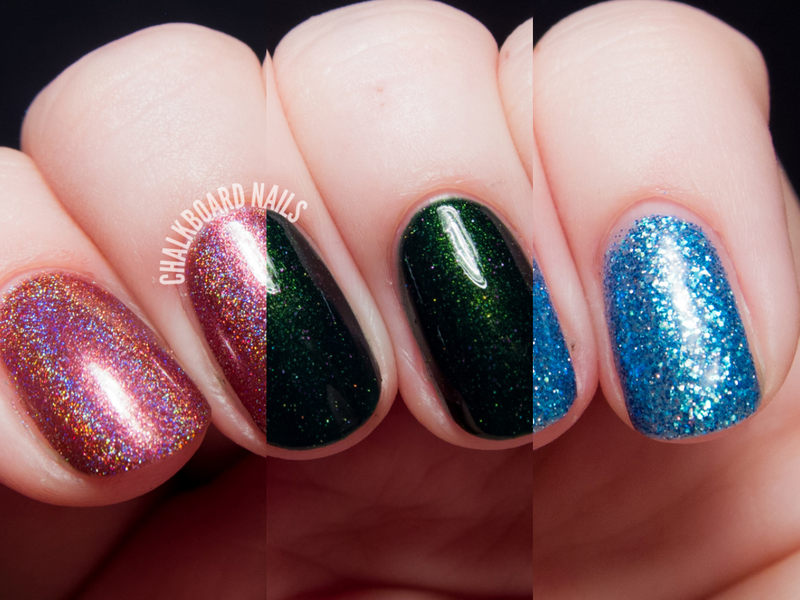 Great swatches, as always! These are nice! I'm really like Auld Langs alot. These are so pretty! Lay Down With Number 13 is gorgeous, I think it's perfect for the upcoming seasons! Lay Down With Number 13 is also very intriguing to me! Did you matte the second picture? I like the second swatch best I think. Aaaah, Lay Down With Number 13 ♥ it's so pretty!